The Nationwide Legal, LLC team provides a broad spectrum of services to assist the legal community. It utilizes state-of-the-art technology to deliver solutions for all your legal support needs. We maintain fully staffed operational divisions which specialize in numerous areas including, but not limited to: service of process, court filings, e-Filing, e-discovery, ground courier and messenger services, document retrieval, photocopy services, digital document solutions, subpoena preparation and service, deposition officer services, investigation services, out-of-state and international services, as well as collection and unlawful detainer services. Our fully computerized system is able to provide our clients with real time status reports. Nationwide Legal also understands a company is only as good as its people. Our staff and management are unparalleled in the industry for their work ethic and professional expertise. Our team is led by well respected and experienced managers possessing numerous years of service in the business. They have trained their staff to work as they do. Nationwide Legal is equipped to handle the toughest of assignments with integrity and accuracy. 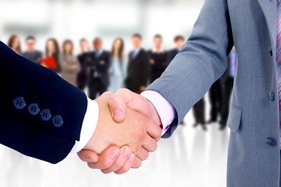 Most importantly, we believe and invest heavily in developing relationships with our clients. We realize they rely on us to keep them updated with ever-changing court rules, as well as to ensure their jobs are done right the first time. We pride ourselves in providing unique and pragmatic insights and solutions to any challenges they may encounter. As a member of the California Association of Legal Support Professionals (CALSPro) as well as the National Association of Professional Process Servers (NAPPS), we have access to a formidable and reliable professional network of associates that can file, serve, and deliver anywhere in the United States.